Watching Steve Philp perform is like watching an episode of 80’s TV show “ It’s A Knockout” except he assures us no-one will get hurt!! Actor, Comedian and Former Radio Announcer Steve has adapted to most things his parole officer has given him. Starting out on an acting career Steve starred in kid’s stage show’s such as “ Barney the Dinosaur” and “ Blinky Bill” as well as working with The Wiggles on “ The Dorothy the Dinosaur show” and quickly found kids to be on his level of intelligence. 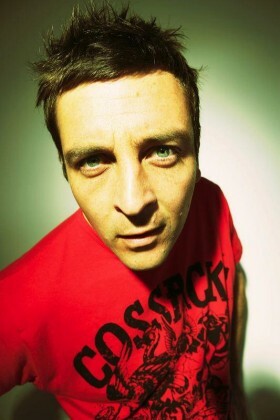 Steve then moved into Stand-Up Comedy and made the finals of Competitions such as Triple J Raw and Green Faces and then quickly moved on the road touring the country for the last 6 years with Comedians such as Carl Barron, The Umbilical Brothers, Adam Hills and a number of international acts such as Arj Barker and Paul Provenza. This immense touring enabled Steve to work in sold out venue’s such as The Sydney Opera House, The Enmore theatre and Newcastle’s Civic Theatre. During this time Steve moved into radio co-writing and co-hosting an ACRA award nominated Saturday morning Breakfast show “ Kennedy and Philp” on Nova 969 (Sydney) for 5 years. This allowed Steve to interview and work with stars such as Jack Black, Ron Moss, as well as filling in for Merrick And Rosso on weekday breakfast for 5 weeks over the Christmas period. Steve also became active as an MC and has hosted the afternoon session of Sony Tropfest for the past 4 years as well as other short film festivals such as Quick flicks and Shootout. Steve has also hosted In-store appearances for music acts such as Pete Murray and The Whitlams as well movie premiere’s including the Australian Premiere of “ Hot Fuzz” and has performed his fair share of corporate comedy for the Newcastle Knights, Seven Affiliates (Prime TV) and a whole bunch of sporting clubs. More recently Steve has been revving up and humouring TV studio audiences as the warm up guy for TV Show’s such as Ready Steady Cook (soon to be seen on camera as the tomato/capsicum audience counter), Ronnie Johns Half hour, The Contest, Cd Live, Beauty and The Beast and Celebrity Spelling Bee. Steve also recently appeared on camera on the Comedy Channel’s “Stand Up Australia” as well as appearing in the latest TV commercials for Career-One. The Sun Herald describes Steve as “a natural” and seems like not too long before he’s got someone warming up his own TV show audience.